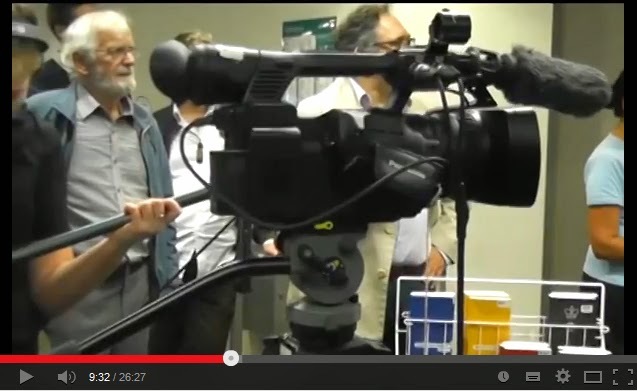 Video by Pacific Media Watch editor Anna Majavu. COPYCAT cybercrime laws designed to curb freedom of expression on social media and independent blog news sites are becoming a major threat to the Asia-Pacific region. 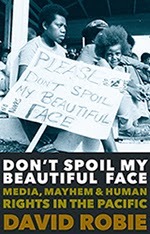 Café Pacific today publishes a video from the book launch of David Robie's new book Don't Spoil My Beautiful Face: Media, Mayhem and Human Rights in the Pacific, which raises these issues. Speakers at the event included the AUT Dean of Creative Technologies, Professor Desna Jury; Wiremu Tipuna, Takawaenga Māori at AUT (Ngati Kahungunu); Dr Steven Ratuva, president of the Pacific Islands Political Studies Association (PIPSA); publisher Tony Murrow of Little Island Press; and Pacific Islands Media Association (PIMA) chair Sandra Kailahi. 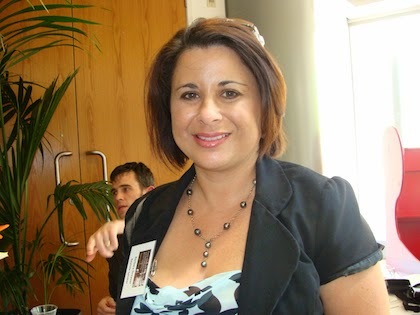 TV New Zealand's Pacific correspondent, Barbara Dreaver, sent a "launch" message which was read out by Kailahi. Don’t Spoil My Beautiful Face takes its readers on a journey through a sometimes unfamiliar Pacific…and it’s a road you can’t help thinking you should be travelling on. for David Robie's Don't Spoil My Beautiful Face. 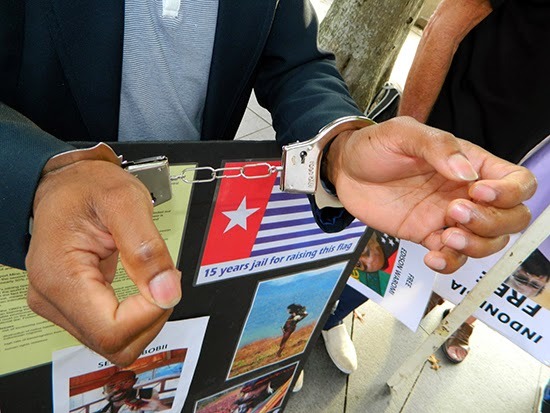 West Papua, Bougainville, Fiji – it’s every journalist’s conscience. If it’s not, then it should be. The stories explored in Don’t Spoil My Beautiful Face are vitally important and delightfully varied. From the Hagahai tribesman whose blood cells have been patented by the United States to the struggles of Tonga’s media over the years with the public’s right to know under threat. David Robie has been at the forefront of Pacific journalism for decades bringing his brand of measured thoughtfulness, courage and balance. His account of reporting in the Philippines on the “Forgotten Victims of a Silent War 1991” is chilling. Equally so “Terror in Timor” and the self-censorship of mainstream media reporting on it. And lest we think that was in the past, look no further than West Papua - a brutal modern day example of a story that may as well be virtually non-existent. 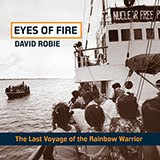 David Robie’s book reads like the man – there’s no fancy bells and whistles. It’s a stripped back and honest look at a region facing many challenges. 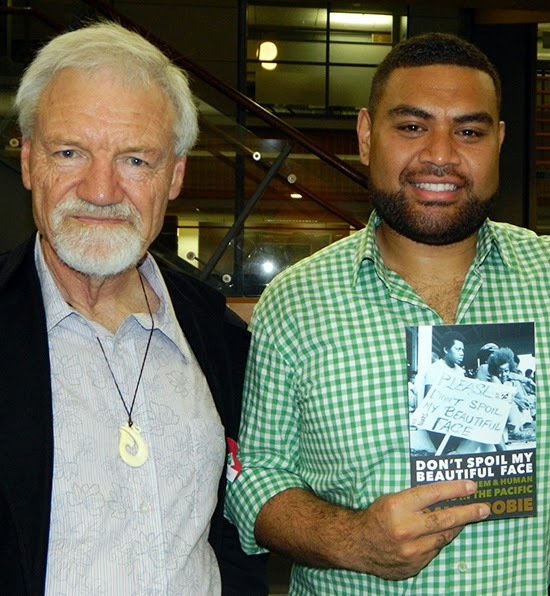 Don’t Spoil My Beautiful Face is not only a valuable tool for budding journalists, it’s essential reading for anyone who cares about the Pacific. I am privileged to know David Robie. He is a great colleague but also a mentor who has been unfailingly supportive to me working in this region I love. I was very proud to be asked to launch this book – but it was a risky move given I am often out of the country. Sadly, that has proven to be the case here. But I will conclude by saying this: David Robie, a leading advocate for media freedom and quality journalism, has yet again proven he is a brilliant author. 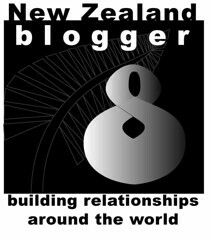 THE BLOGGING war is hotting up in Papua New Guinea – just when things are getting riskier with draconian proposals over cybercrime law on the horizon. The state target for Prime Minister Peter O’Neill’s government appears to be social media. Trample on any possible dissent. O’Neill is seen as a proxy for Canberra’s strategic interests in the region. As PNGexposed claimed in one posting, the Australian government “has already assumed the role of regional sheriff and wants to sit astride a region of compliant states and micro-states”. “This means other countries markets and resources should be open to foreign capital without barriers such as the muscular protection of landowner rights, or strong environmental laws. Australia is targeting its aid spending to ensure Bougainville fits this model. According to figures released by the Australian Department of Foreign Affairs and Trade (see table here) show that more than 90 percent of $2.9 million a year spent on the salaries or commissions of consultants working for Australia on Bougainville is directed at ensuring Australian political structures, policy priorities, economic models, and security interests dominate in the new Bougainville government and bureaucracy. THE INDONESIAN parliamentary elections this week were disappointing on a number of fronts, especially for presidential frontrunner Jakarta Governor Joko “Jokowi” Widodo. His Democratic Party of Struggle (PDI-P) which gained just 19 percent of the vote, was far less than the expected 25 percent. But the presidential vote is not until July. What about West Papua? What was the fate of representation for the two Melanesian provinces bordering Papua New Guinea this week? Who among the Jakarta hopefuls really have the future of the Papuan region at heart? In Papua, where state sovereignty and legitimacy is deeply contested, representation matters. So in this national election, who purports to represent Papua? Candidate residence is one way of sizing up the candidates and the results are telling. Sixty three out of 114 candidates running for the DPR (National House of Representatives) seats in Papua province live within the greater Jakarta area. Audio podcast of today's media conference with MIDA chairperson Ashwin Raj on YouTube from the Pacific Media Centre. SO THERE we have it. Fiji’s Media Industry Development Authority chairperson Ashwin Raj is going to stamp out all hate and race speech in his country with the stroke of a decree-backed pen. Raj is “quite perturbed by the level of public discourse” in Fiji as the country moves toward the return-to-democracy general election on September 17. “Masquerading itself as an exercise in freedom of expression, political discourse has, in fact, descended to unabashed racial vilification and in some instances its content is tantamount to injurious or hate speech,” he railed at a MIDA media conference in Suva today.